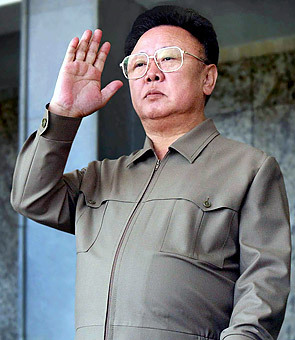 Kim Jong-il is continuing secret trips into China, only six of which have occured since his rise to power in 1995. I was cruising around the news when I read this Time article about a secret visit Kim Jong Il paid to China only days ago. The reason for the visit is unknown, though many different political and think-tank type groups are providing speculation. This is not the first trip Kim has made into China, his last trip being in May of 2010, around the time North Korea saw a rise in “satellite launch” tests, which were believed by many to be long-ranged missile testing. The aspect of this article that caught my attention was Beijing’s willingness to “go along with juvenile, Cold War-era games that at this point are beyond parody.” It’s really not in China’s best interest, now being the second most powerful country in the world by means of economics to be making such back-door type meetings. China’s leadership has shown no clear, successful action in trying to limit the North Korean dictator’s power or negotiations with the Chinese leadership. North Korea suffered floods this summer, adding pressure to North Korea’s already scarce food supply. A North Korea with Chinese involvement is “a failed state.” North Korea requires a large supply of Chinese supplied oil in order to fuel it’s militarization, especially following trade embargoes put in place by the U.S.
As for North Korea’s future, I can only foresee a more strained relationship between North Korea and the Western world as long as Kim Jong Il continues to pressure the U.S., China and Japan with Nuclear activity. One hope is that more diplomatic U.S. and North Korean relations will develop as Kim Jong Il’ son, Kim Jong-un, takes power as dictator of North Korea, a date set sometime in 2012. As Kim’s son begins to ascend as part of the political party in North Korea, many people begin to fear too much forced rise as a politician by the hand of Kim will produce an ill-fit leader who will only work against repairing the already fragile U.S. – North Korea relations.